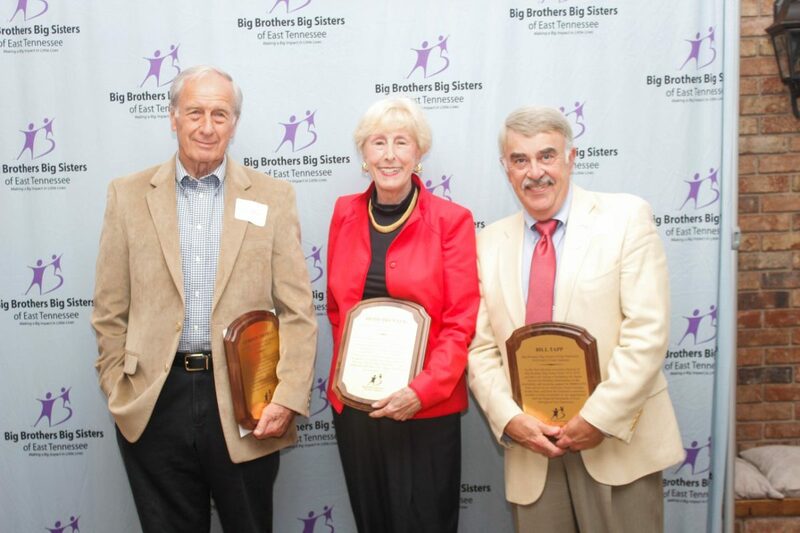 Big Brothers Big Sisters of East Tennessee (BBBS-ETN) has inducted three new members into its 2018 Hall of Fame class: Heidi Brenner, Bill Tapp, and Gordon Thomas. The BBBS-ETN Hall of Fame recognizes individuals and companies who have been instrumental in the growth, impact and sustainability of BBBS-ETN. Brenner, Tapp, and Thomas were honored at an induction ceremony in May for their contributions to the organization over the last five decades. Tapp, the first full-time executive director of BBBS-ETN from 1972-1979, laid a foundation for future success by building relationships in the community and securing support for BBBS-ETN. Tapp has remained connected to the agency for the five decades as a board member, advocate, and community supporter. Thomas served on the first BBBS-ETN board of directors and hired the agency’s first full-time executive director. He was also the organization’s second Big Brother to his Little Brother Eddie, a match which lasted from 1970-1979, and a friendship which has spanned a lifetime. BBBS-ETN also celebrated and recognized graduating mentees at the Hall of Fame event. Three “Littles” received a scholarship, including Cary Holloway, Yasmin Horton and Grayson McGinnis. Cary was matched with his Big Brother for two years. Cary recently graduated from Central High School and plans to attend Pellissippi State for two years for video production and business, and then attend a four-year school. Yasmin has been matched with her Big Sister, Liz, for eight years. Yasmin graduated from Dr. Paul L. Kelley Volunteer Academy in August of 2017. She plans to attend Pellissippi State Community College and major in Criminal Justice. Grayson McGinnis graduated from L&N STEM Academy in May 2017 and was a recipient of the inaugural BBBS-ETN Scholarship in 2017. He has attended MTSU for the past year, majoring in athletic training. Grayson was matched with his Big Brother, Tyler, for nearly four years. Photos will be sent upon request. Big Brothers Big Sisters of East Tennessee, named a 2017 Pinnacle Agency by Big Brothers Big Sisters of America, provides children facing adversity with strong and enduring, professionally supported one‐to‐one relationships that change lives for the better, forever. Children enrolled in the program achieve measurable outcomes, including educational success, avoidance of risky behaviors, higher aspirations, greater confidence, and better relationships. This mission has been the cornerstone of the organization’s 47-year history in the Knoxville area. Learn more at tennesseebig.org. Big Brothers Big Sisters of East Tennessee is working with South-Doyle High School students in a nationwide program that pairs mentors from various businesses and organizations in Knoxville with high school students. The Mentor 2.0 program focuses specifically on college readiness for high school students. South-Doyle is one of 44 schools in the country where the program is being implemented. Frank Benefield, one of the mentors in the program, said it has been a valuable experience for him and his mentee student, Isaiah. The program does not release last names for children participating, and USA TODAY NETWORK-Tennessee has agreed to use only first names. South-Doyle just finished its second year of the program, and mentors and students say they are excited for the third year. 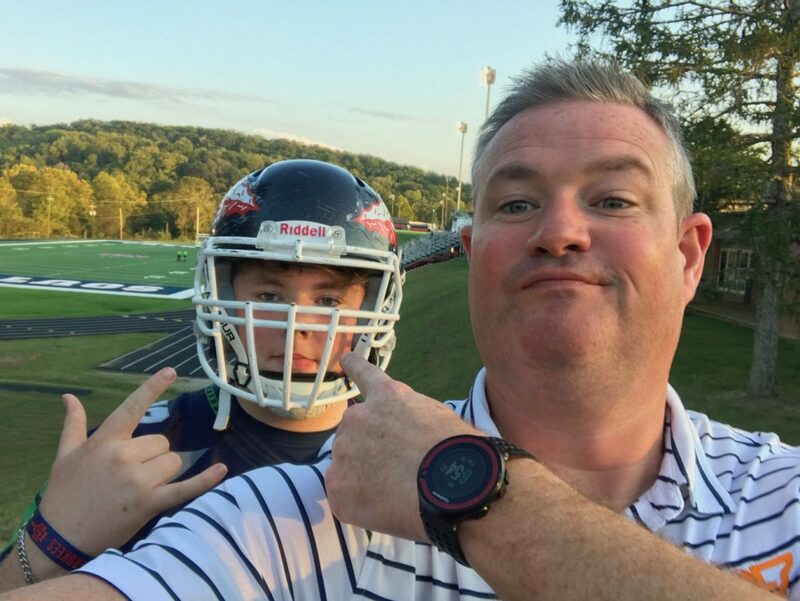 Jake Thomas, a program coordinator for BBBS, has been working specifically with Isaiah and the freshmen at South-Doyle. Benefield and Isaiah were paired up at the beginning of the year, along with 45 other South-Doyle freshmen and mentors. The selection process isn’t random; the program coordinators spend time matchmaking mentors with their (hopefully) perfect mentee. “Prior to the school year, we sit down with a big white board of mentors and mentees and start pairing people,” said Thomas. Mentors talk with their mentees about college and how to get there. Financial aid, professionalism and career choices are regular topics of conversation; however, it’s more than just the logistics. “We talk about philosophical ideas, the times, a little bit about race. We talk about African-American doctors, African-Americans who have improved society. We’re not very seclusive to one thing,” said Isaiah. Most of the communication between Isaiah and Benefield happens through email, which works well for mentors with busy lifestyles. However, they are hoping for more in-person activities. “I would change the fact that we don’t go out to field trips. If we got a few buses, go take us somewhere, that would definitely help with the closeness,” said Isaiah. This online communication is an important part of the program, which aimed to attract teenagers in a different way. BBBS sees the highest rate of mentee drop-out when students enter high school. The program helps prevent that. The in-person meetings are a great opportunity to catch up and expand further on conversations. Benefield, who does a little bit of mentoring in his job as a transition coach at the University of Tennessee, wanted to expand this to more than college students. 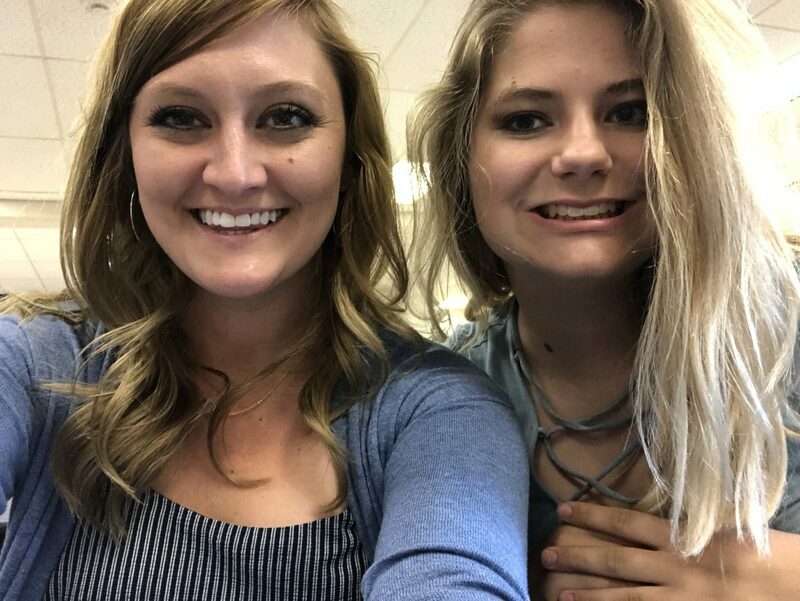 “I saw the opportunity through the Mentor 2.0 program to have the opportunity to work with a student before they get to college and start an early relationship,” said Benefield. Isaiah says that he has really enjoyed the program. Benefield has also benefited, saying he continues to learn through each interaction with Isaiah. Big Brothers Big Sisters East Tennessee was started in 1970. It is on track to reach its goal of 1,000 children mentored by 2020, according to a press release. The program is a collaboration with iMentor, an investment with nonprofit social innovation organization New Profit Inc. BBBS has 91 students enrolled. Since iMentor’s start in 1999, 29,570 students have been matched with mentors nationwide. 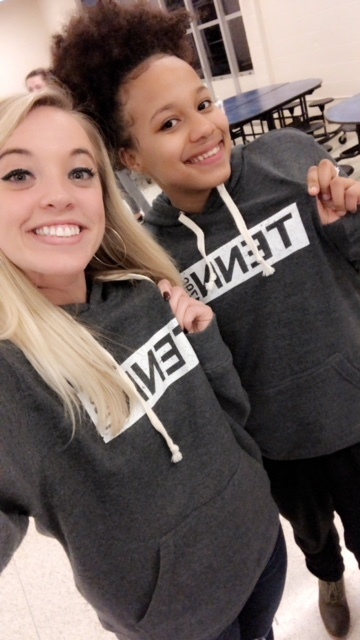 Seventy-one percent of iMentor students enroll in college on time, compared to the national average of 52 percent for students from low-income communities according to their 2017 impact report. Thomas hopes to see these same results in the upcoming years with South-Doyle students. BBBS is hoping to add 100 more students to the program next year, and they’re confident that the relationships formed between the students and mentors are already making a difference. “Never underestimate the value of your relationship with someone else,” said Thomas. 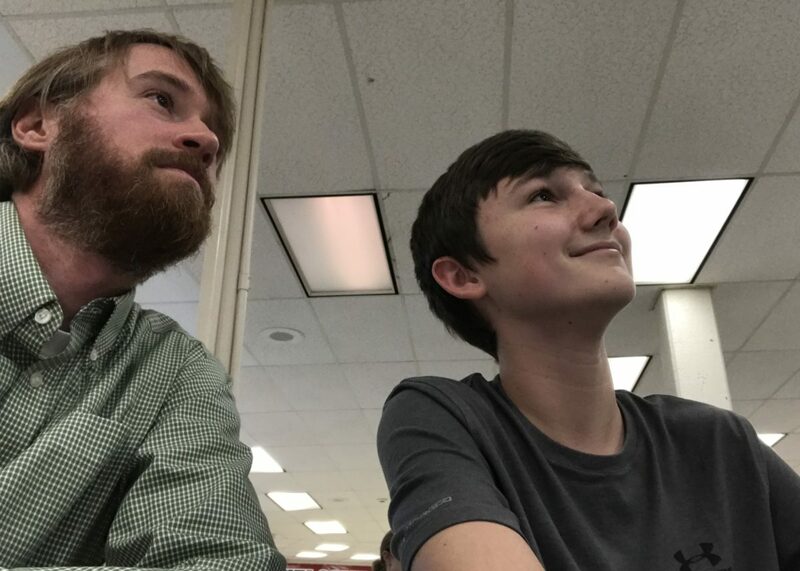 Thomas and the Mentor 2.0 team are looking for another group of mentors for the sophomore and freshman cohorts at South-Doyle High School. If you’re interested in getting involved, you can visit their website or email Mia King. Knoxville, Tenn. (May 22, 2018) – The 36th annual Bowl for Kids’ Sake, benefiting Big Brothers Big Sisters of East Tennessee, raised more than $125,000 to support one-to-one mentorship in the Knoxville area. Bowl for Kids’ Sake, BBBS-ETN’s signature fundraising event, took place in Knoxville, Sevierville, Maryville and the Tri-Cities—nearly 1,000 bowlers, volunteers and community supporters raised money to provide mentors to marginalized children. The funds raised through the event will allow BBBS-ETN to match more than 125 children with a Big Brother or a Big Sister in the next year. Big Brother Peter and Little Brother Amari were matched during Bowl for Kids’ Sake and attended the event as their first activity. Peter became a Big Brother because he wanted to give back to his community and help children in need. Amari, who is being raised by his mother, wanted a mentor so he could have another male to talk to and hang out with. The two were matched because both Peter and Amari enjoy being active and spending time outdoors. Peter and Amari are just one of the many matches that will be made this year through funds raised at Bowl For Kids’ Sake. Special thanks to the Bowl for Kids’ Sake platinum-level sponsors: Pilot Flying J, First Bank and Clayton Homes. For a full list of sponsors, visit BowlForKidsToday.org.  Big Brothers Big Sisters of East Tennessee has been named a Pinnacle Agency by Big Brothers Big Sisters of America, placing it in the top 10 out of 300 BBBS affiliates nationwide. The agency provides marginalized children with strong and enduring, professionally supported one‐to‐one relationships that change lives for the better, forever. BBBS-ETN ensures that the children in its program achieve measurable outcomes, including educational success, avoidance of risky behaviors, higher aspirations, greater confidence, and better relationships. BBBS-ETN is in its 47th year of serving area youth through mentorship matches. Learn more at tennesseebig.org. Meet Little Sister Katie and Big Sister Laura. They have been matched since October of 2017. Katie is a freshman in High School. Katie is a straight A student and hopes Laura, an accountant, can help her keep her 4.0 and work towards her goal of being a large animal vet! Katie and Laura share a love of sports, family and animals and bonded over their love of puppies. Katie loves that Laura is like an older version of herself and is excited for a lifelong friendship with Laura. Big Brother Brandon and Little Brother Dakota have been matched since the fall of 2016 in the Mentor 2.0 program. Brandon and Dakota spent their first year getting to know one another and talked mostly about football. Brandon works for IMG Vol Network and promotes the Volunteers through sales and advertising. Since the Volunteers are Dakotas favorite sports team, he and Brandon hit it off immediately. Brandon joined the program because he recognized how challenging high school can be and he wanted to help guide a student in the right direction. Dakota joined the program because he wanted someone to help him stay out of trouble and to improve his grades. At the beginning of Dakota’s freshman year, he had more disciplinary referrals than any other freshman. He lacked motivation and focus, but Brandon provided him constant encouragement and support. At one point in the school year, Dakota’s family moved to a different area and he was no longer zoned to attend his school. When Dakota learned that he was moving and would no longer be involved in the Mentor 2.0 program, he called his mom to tell her that he couldn’t leave his school. As a result, Dakota’s mom set goals for him to achieve and agreed that as long as he kept his grades up she would make the effort to drive him to and from school so he could stay in the Mentor 2.0 program. Dakota has kept up his end of the deal and has not only kept his grades up but he has also avoided ISS and OSS entirely this year. He is currently the most improved student in the Mentor 2.0 program. We are proud of the strides that Dakota has made in school and with his mentor Brandon! KNOXVILLE, TN (April 23, 2018) – Big Brothers Big Sisters of East Tennessee is proud to announce that the Big Brothers Big Sisters Nationwide Leadership Council has identified the agency as a 2017 Pinnacle Award Winner. The Pinnacle Award recognizes the very best agencies in America for increasing their revenue and growing their overall number of children served, year over year, for two or more consecutive years. In the past year, BBBS-ETN has served 850 children and grown its local services by more than 5 percent. -Expanding its innovative, technology-enriched Mentor 2.0 program to a second class at South Doyle High School. -Awarding the first round of BBBS-ETN scholarships, allowing three Littles to be one step closer to making their higher education dreams a reality. -Inducting the three honorees into the inaugural BBBS-ETN Hall of Fame class: William “Bill” Jolly, Alex “Bo” Shafer, and Al Williams. -Launching “Bigs in Blue,” a program that connects mentees with public safety professionals who help with social skills, self confidence, and interactions with family and peers. Out of nearly 300 Big Brothers Big Sisters agencies, BBBS-ETN is one of only ten agencies that will be recognized as Pinnacle Award Winners at the 2018 Big Brothers Big Sisters National Conference in St. Louis, Missouri on June 26. 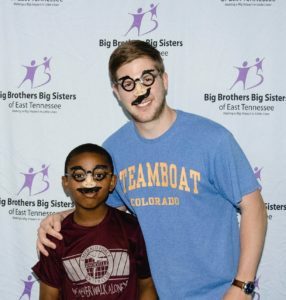 Big Brothers Big Sisters of East Tennessee provides at-risk children with strong and enduring, professionally supported one‐to‐one relationships that change lives for the better, forever. BBBS-ETN is in its 47th year of serving area youth through mentorship matches. More information available at tennesseebig.org. Big Brothers Big Sisters ensures that the children in its program achieve measurable outcomes, including educational success, avoidance of risky behaviors, higher aspirations, greater confidence, and better relationships. This mission has been the cornerstone of the organization’s 114-year history. With nearly 300 Affiliates across the country, Big Brothers Big Sisters has served more than 2 million children (“Littles”) in the past 10 years. Learn more at bigbrothersbigsisters.org. These two have a special relationship and we can’t wait to watch it grow over the next couple of years! Big Brother Gene and Little Brother Brennon have been matched in BBBS-ETN’s community-based program for one year. Even though Gene roots for the Georgia Bulldogs and Brennon supports the Tennessee Vols, they enjoy going to sporting events together. In fact, if they had a chance to go to outer space, they would name their rocket the “The Georgia Volunteer”. When they aren’t at a sporting event or doing church activities, they may be at the WJBE radio station. 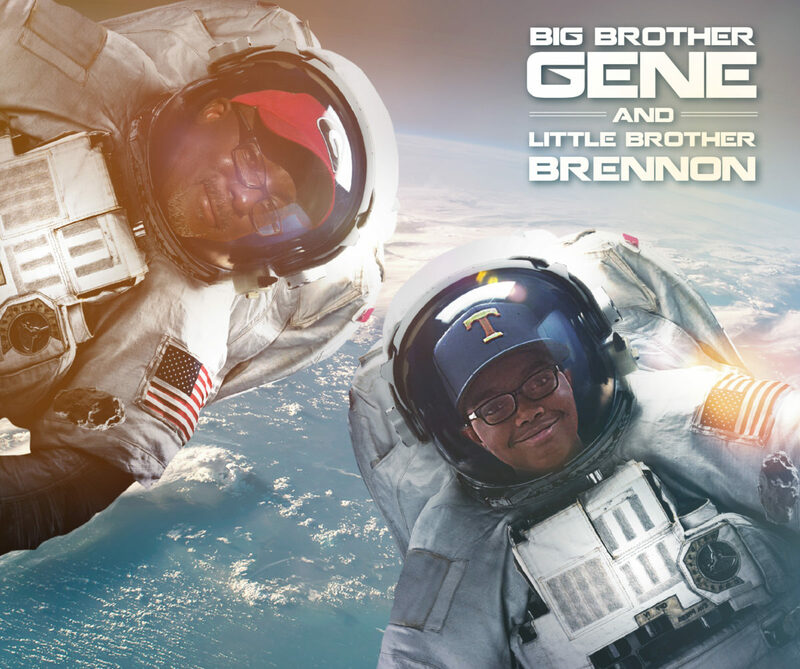 Gene, the station’s Program Director, enjoys bringing Brennon with him to show him what happens being the scenes. Brennon enjoys playing video games and is creative, so he enjoys learning about technology and media! Since these two are so out-of-this-world, we decided to ask them a few questions about their match (and outer space). Can you name one thing on your bucket list? We want to go to the Aquarium! Which planet is your favorite? Saturn, because it is colorful and has rings. When you Bowl For Kids’ Sake, you help BBBS-ETN make more life-changing matches like Gene and Brennon. This year, BBBS-ETN hopes to match 125 children with a mentor through the funds raised at Bowl For Kids’ Sake. #BeStellarETN and #Bowl4KidsETN at BowlForKidsToday.org! Little Brother Zach and Big Brother Chad were matched in the Mentor 2.0 program during Zach’s freshman year. Chad and Zach quickly bonded over their love of the outdoors, animals, and recreational activities, such as mountain biking. Their bond deepened when Zach realized Chad bore a striking resemblance to his childhood idol, Chuck Norris. Chad was a Little Brother himself and has been so impressed by Zach’s growth from a shy, homeschool transfer to the young man he is today. Chad says, “I’m continually impressed by Zach’s maturity. He is reflective and observant, similar to my own personality. I’m so lucky to have Zach, someone that is willing to do his work, connect, and have conversations.” Chad says he looks forward to helping Zach achieve his goals of becoming a police officer and to seeing their relationship grow over the next three years. I have some very BIG news to share! Big Brothers Big Sisters of East Tennessee is excited to announce that we have been named a 2017 Pinnacle Agency by Big Brothers Big Sisters of America. This award recognizes the dedication of our leadership, staff, board, and volunteers to provide the highest quality programming for the children we serve. BBBS-ETN is one of 10 affiliates out of 300 nationwide, and the only in the state of Tennessee, to receive this honor! Achieved a community-based 12-month retention rate of more than 73%. Achieved a site-based 12-month retention rate of more than 52%. Showed growth in active matches—in our case, to 670 active matches. Posted a positive net income at the end of last fiscal year. With you by our side, we look forward to continuing to achieve our goals, further our mission, and transform the East Tennessee community, one match at a time. P.S. Stay tuned during the month of April as we announce our Pinnacle Award widely, including on Facebook, Twitter, and Instagram.